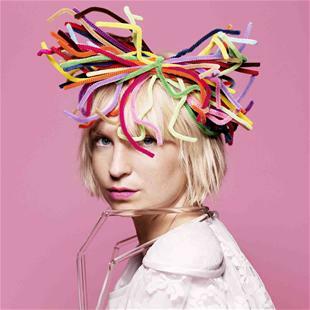 In a world of popstars whose faces and bodies are at least of equal importance to their musical talent, Australian singer-songwriter Sia Furler stands alone. While she’s had several hit singles of her own and written tons of pop hits for others, it’s rare that anyone even knows what she looks like. The “Elastic Heart” singer who doesn’t like her face on stuff. So here’s her face on my website. This isn’t an accident: Sia doesn’t like having her face on stuff. She even emailed Robert Pattinson to ask him if she could wear his face on a popsicle stick for the cover of Rolling Stone. If you do know anything about how she looks, it’s probably her signature haircut. Platinum blonde, blunt bob with some uneven bits, it’s as ubiquitous as her Guetta hit Titanium. “I thought, what about my blonde bob? If Amy Winehouse was the beehive …” Sia hedges. The Sia haircut is now its own iconic representation of her, like Daft Punk’s masks. She has other performers wear a Sia wig onstage while she sings without being visible. Most famously, the Sia wig has been worn by dance prodigy Maddie Ziegler for her freaking amazing (but not at all pedophilic so shut up about it please) performances in Sia’s videos for “Chandelier” and most recently and controversially, “Elastic Heart”. Offstage, Sia has to keep up with the times (grow and change, grow and change) and so her real bob is gone as she tries to be less recognizable. “I got myself a weave,” she says coyly. Yes she did – and some Britney song I don’t know. Thanks for reading!